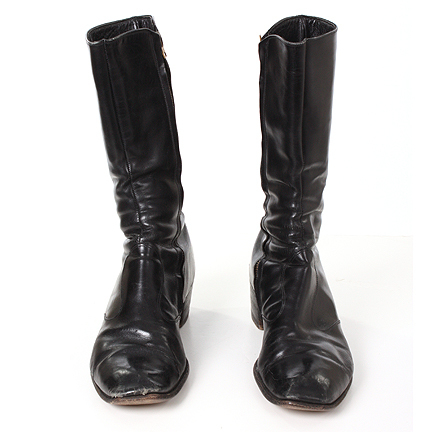 This pair of boots was worn by legendary entertainer Frank Sinatra. 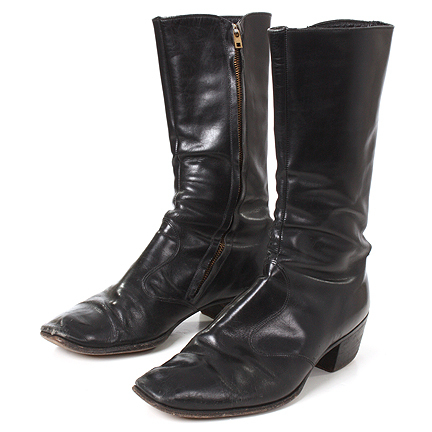 The half boots are constructed of black leather with zippered sides and a leather sole. 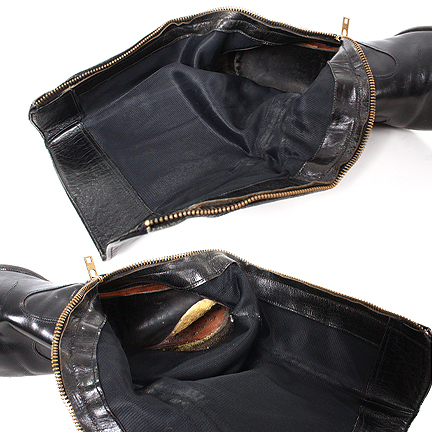 There is significant evidence of wear in the heel and a tear in the back of the boot from extensive use. 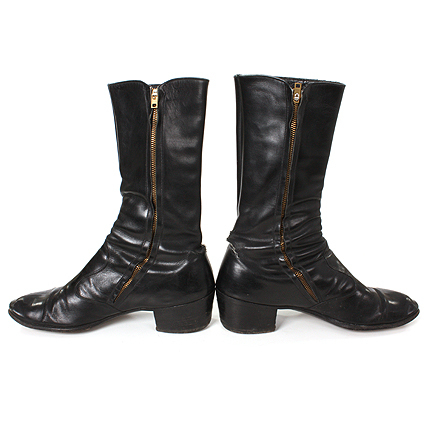 The boots were acquired directly from Mr. Sinatra’s personal costumer and longtime friend, Michael Castellano. Mr. Castellano began working with the entertainer in 1976 after replacing Sinatra’s previous personal aid, Eddie Fitzsimmons. Mr. Castellano quickly became Sinatra’s “right hand man” and performed numerous duties for Mr. Sinatra while maintaining his stage and personal wardrobe collection. 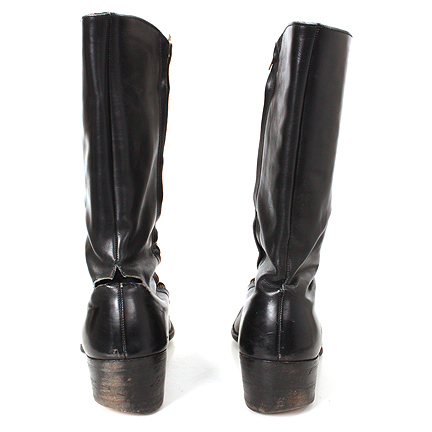 Frank Sinatra wore these boots during a number of live performances between 1976 and 1981. 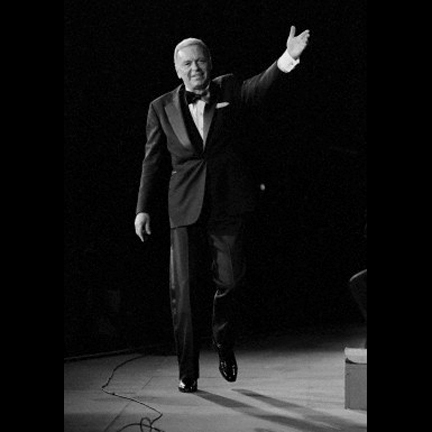 Stage worn pairs required shining before shows and public appearances, which was one of the many services that Mr. Castellano provided for Sinatra. 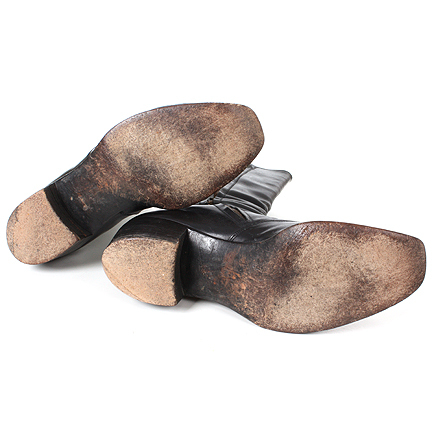 Castellano confirmed that this was one of Sinatra’s stage worn pairs as evidenced by their shined condition. Mr. Castellano received these boots as a personal gift from Sinatra prior to leaving his service in 1981, and retained the items in his possession since that time. The boots are in slightly distressed condition with evidence of wear on the soles from years of use. Also included is a pair of plastic shoe trees that belonged to Mr. Sinatra. Accompanied by a letter of authenticity from Michael Castellano.